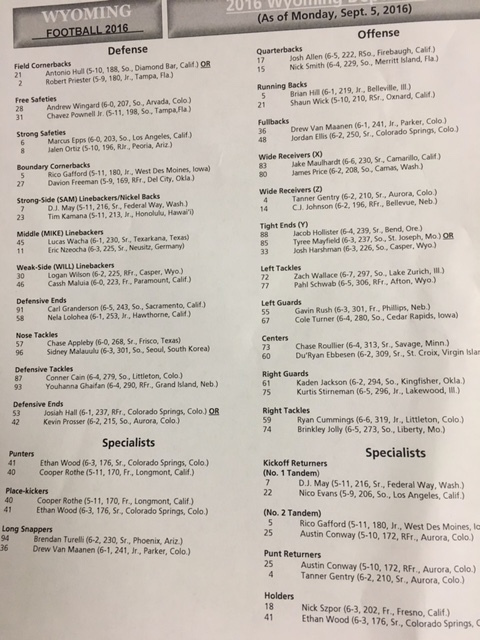 Labor Day was no holiday for Wyoming football and the people who cover the team. Coach Craig Bohl held his weekly news conference Monday afternoon, and the team began its preparations for its next game Saturday at Nebraska. Here is the link to Bohl’s entire news conference. 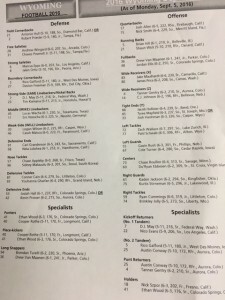 No significant changes to the Cowboys’ depth chart this week. Take a look for yourself. Fall camp concluded for Wyoming Saturday with its second and final scrimmage. Hope you enjoyed the video highlights and interviews I posted throughout camp. I shot a few photos I wanted to share that I though were fun and somewhat funny. Brendan Turelli and his short shorts. First, senior long snapper Brendan Turelli is one of my favorite guys on the team. A great guy who does his job well. 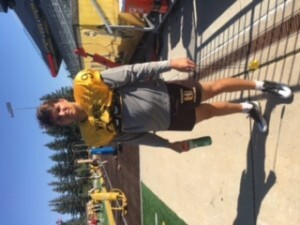 During the last week of camp, Turelli and senior punter Ethan Wood got some pairs of workout shorts from UW’s equipment guys, and they are very much old school. Here is Turelli showing them off. Sorry for the titled angle on all these photos you are about to see. Both Wood and Turelli said they made them look like your old-school gym teacher/coach. I think that description does it justice. 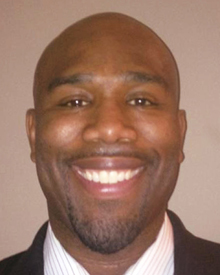 Clester Johnson was a two-time national champion at Nebraska in the 1990s as a wide receiver and wing-back. 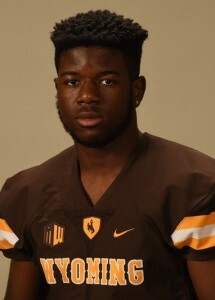 His son, C.J., is a redshirt freshman wide receiver with Wyoming after attending Bellevue West High in Bellevue, Nebraska. The Johnsons were the first father-son duo to win Gatorade State Player of the Year awards. Clester won it in 1991, and C.J won it in 2014. Comparisons have been and will continue to be made between Clester and his son. Mike Grant is a good person to ask about the two Johnsons. Grant was a graduate assistant coach at Nebraska while Clester was there. Grant was hired as UW’s wide receivers coach back in January. New Wyoming wide receivers coach Mike Grant hit the ground running when he was hired back in late January. Grant has 22 years of experience as a college coach, and was on Nebraska’s staff as a graduate assistant when current UW coach Craig Bohl was an assistant with the Cornhuskers. Grant has two veteran receivers to work with in seniors Tanner Gentry and Jake Maulhardt, and has liked what he’s seen from both so far this spring, and even going back to winter workouts. I asked Grant about UW’s young receivers, and here’s what he said about sophomores James Price and Justice Murphy, along with redshirt freshman C.J. Johnson. Here’s what he said.